May 23, 2018 - Polaroid Originals SX-70 Color Film. 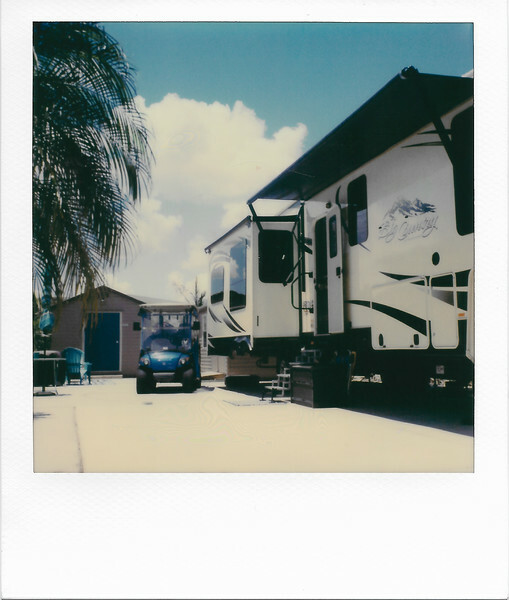 Our fifth wheel trailer on our Florida lot. Compare to the one taken on a cloudy day - a blue sky comes out much better.